As most of you know, I'm an ambassador for Gone for A Run website. 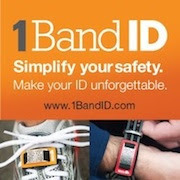 They have an awesome website that has really cool runner gifts for yourself or for a runner you know. You can check our their website HERE. 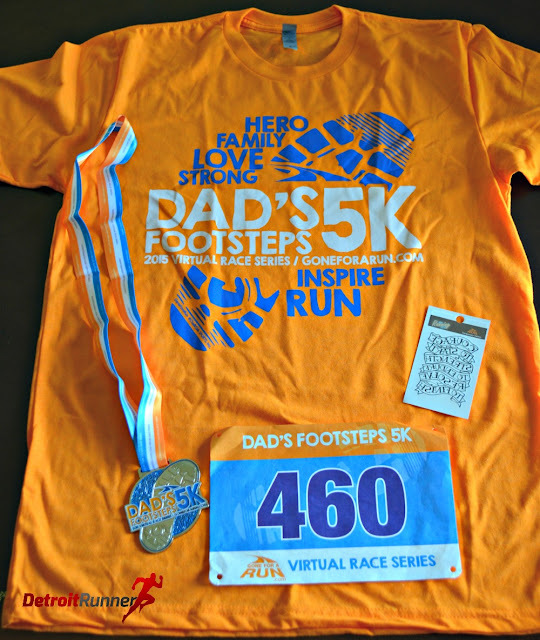 They have a new Virtual race coming up called the Dad's Footsteps 5k. This is the third race they have offered for their virtual race series. Run(or walk) a 5k anytime, anywhere from June 19-21 this year. A nice shirt. The shirt is 60% cotton/40% polyester. These shirts are super comfortable! 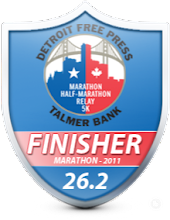 You also get a cool medal for finishing as well as a bib and a tattoo! Shirt, bib, medal and tattoo! While it's a virtual 5k, the fun part about it is that you can run more if you want. 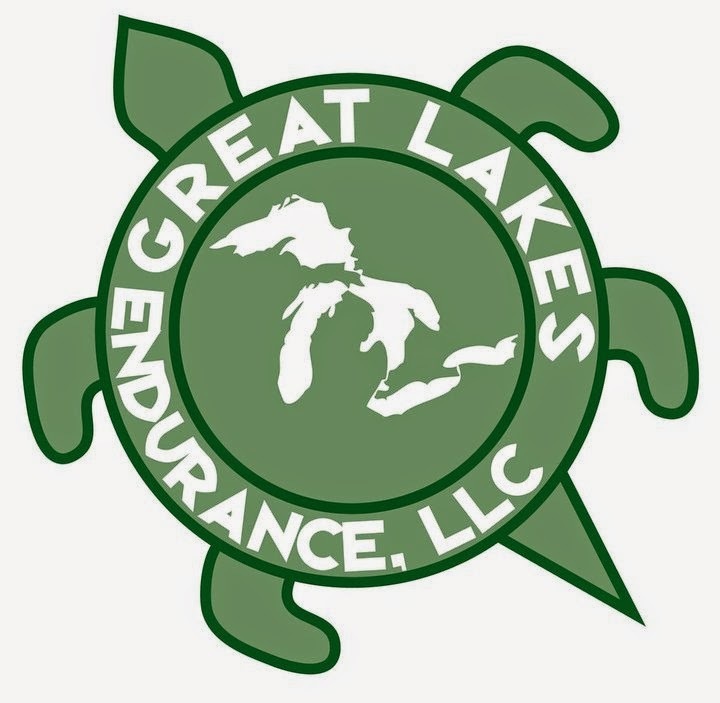 I've got an epic run for June 20th as I have a 20 mile run planned. It's always nice to earn a medal after a run like that but even if you only want to do 5k, you can! You can register on the Gone For A Run website HERE. Cost to run this is $30.00 and you get all of the above plus you are also eligible for entry into some raffle prizes which you can also see on their website. Disclosure: I received a complimentary entry into this virtual 5k as an ambassador of Gone For A Run.